The evoPOWER Vigor 1 GRAPHIC Football Boot optimizes the interaction between kicking velocity and accuracy. The spandex sock combined with the one-way stretchable AdapLite upper material and the GSF outsole technology allow the foot to bend like in a barefoot kicking motion enabling the optimum power delivery to the ball. GripTex enhances ball control. 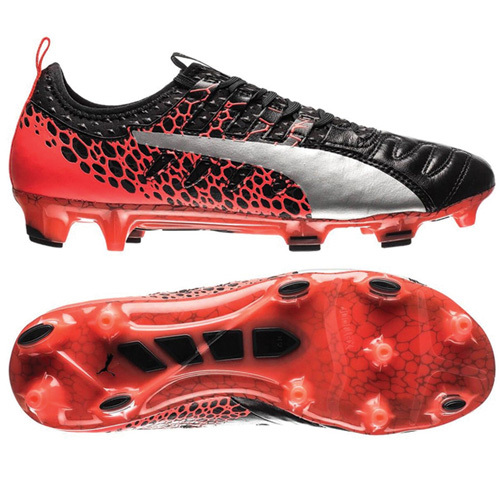 The AccuFoam 3D dots on the in- and outside improve comfort and kicking accuracy. The anatomically engineered outsole offers an optimal mix between stability and agility. Designed for artificial grass.